Dude, I read this article on the internet, “Best Vintage Record Players 2017”, and I bought me this sweet record player! It’s awesome! Great, I would also like to get myself a turntable, they seem to be making a huge comeback. Wait, what? There must be some better solution, for example, a small table, a stand, or perhaps some audio tower? So, to help the ones fighting with this peculiar issue, like our imaginary friend from the previous dialogue, we’ve managed to assemble a list of the best record player stands for 2017. Be aware that, the record player does not have to be placed atop a dedicated stand. It can be placed inside an audio tower, or perhaps atop some cabinet that could hold the vinyl records within. If you really want to stand out, then maybe hiring a carpenter to build you a custom stand or cabinet, would be the best way to go. Mind you; it will most probably be the most expensive way to go. If being so expensively unique, is not quite the path you would gladly walk, then luckily there are some options available on the market, and we are going to present them here. Our list includes furniture elements that vary in design, dimensions, and versatility. The design is very subjective because everyone has their own specific preferences. After all, beauty is in the eye of the beholder. Concerning the dimensions, there are many various items to choose from – tall, short, wide, narrow, heavy and sturdy, or “light on the feet” with weight support limitations. Taking the versatility into consideration, we can see that there are record player stands that offer a full housing and storage for your whole record collection, while there are others that can provide a stand for the record player, and storage for a small number of vinyl records. So, after we’ve cleared all that up, let’s proceed with our list, shall we? The first one on our list is a simple, cheap and very charming table from DHP. Its dimensions will make it a great fit in small spaces, while the beautiful craftsmanship and finish will enrich the ambiance of the room. The top shelf could easily hold a record player, while the bottom shelf can be used as a storage place for your vinyl records. It is very easy to assemble, so no special skills are required there. And, if you decide to upgrade your audio system, then due to its multi-purpose character, this table can be used as a telephone stand, or hold a vase with flowers, or something similar. Pay attention to the weight limit, though (20 lbs. on each shelf), because you wouldn’t want to see your pretty record player stand to tumble down due to overestimating its capabilities. With a price of just under $30 and excellent ratings, it’s no wonder this good looking piece of furniture is a best-seller on Amazon. It has to be one of the cheapest record player stands in the market. Crosley is a manufacturer that takes the whole idea of record players quite seriously. Not only that they manufacture turntables, but also provide a selection of record player stands so that you will have what to pair your player with. This one here is the first item from Crosley present on our list. 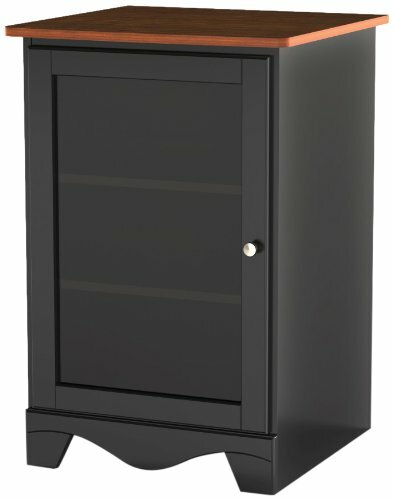 The cabinet looks very old-fashioned, boxy, with highly defined lines. With the glass window on the door and the overall form, it almost resembles a heating element that lacks a chimney. 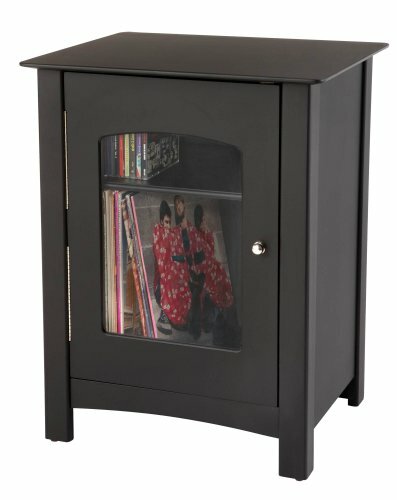 Be that as it may, we are talking about a medium sized cabinet that will comfortably hold a record player on top, while housing your vinyl collection on the lower shelf behind the glass door. Polished brass accents and silver plated hardware give it a few extra style points. Priced just under $90, along with the conservative looks and good usability, clarifies why this item is also a best-seller on Amazon. Thus, it has to be one of the best record player stands online. If your preferences tend towards the traditional and conventional, then look no further. 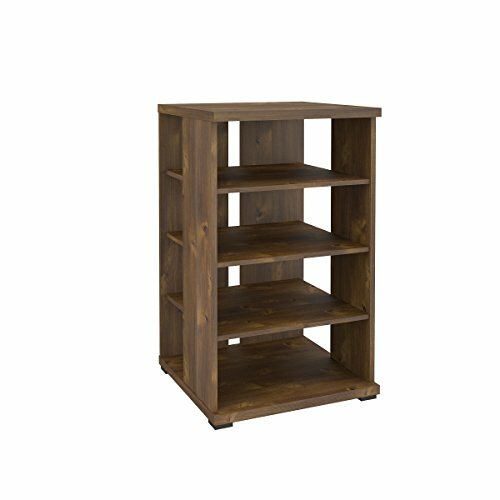 The Winsome Wood Shelf Espresso is a traditional shelf with three perfectly flat surfaces to lay your belongings on. Ridiculously simple design language dictates perfectly straight lines, true rectangular forms and nothing else. No curves, no experiments, just plain old straight lines and right angles. You could easily use it as a record player stand since it would gladly take in a record player on the top shelf. Additionally, you are free to store your vinyl records collection on the middle and bottom shelf. Put that into perspective, alongside the simple, but elegant looks and the price of just above $42, and you got yourself a winner! Now, this is, without any doubt, one of the best looking products on our list. It facilitates an “open architecture” approach for optimized airflow through the components made from metal and glass. The glass shelves have vibration dampening pads, which is a great “thumbs up,” if you plan on using it as a record player stand. It means that if you place a record player on top of it, skipping due to vibration is highly unlikely. Unfortunately, the height between the shelves is not enough to store vinyl records (they must be stored vertically), so another solution must be found for vinyl storage. The holes in the back panel are extremely helpful when dealing with a lot of cables. The textured color and chrome finishes on the frame, along with the sleek chrome pillars and extremely fancy black glass, make the Midnight Mist Media Stand one of the best looking and highly versatile home entertainment furniture out there. Naturally, this level of attractiveness comes at a price, so it costs just above $210. This member of our list is another one that bodes very well in the contemporary and stylish departments. Sleek and smooth black shelves, held by highly elegant, tubular chrome pillars. The open architecture makes it easier to deal with all the cables. The top shelf has a slightly larger footprint than the other shelves, so even a bigger turntable will fit nicely. Since it is a modular audio stand, you don’t have to place all the shelves. This means that a lot of free storage space could become available for storing your vinyl collection, thus making the Sanus Systems AFA an excellent choice for a record player stand. The price of just under $120 and the extremely high average rating, makes this audio stand one of the best choices on the market today. Second Crosley representative, coming right up! 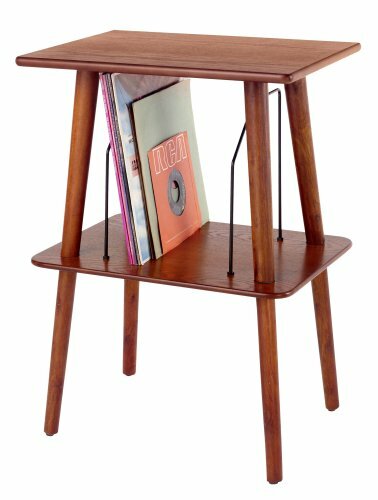 Quite old-school and painfully simple looks, position this record player stand in the “vintage” category. Handcrafted out of hardwood, with beautiful reddish “Paprika” coating, it will definitely find its place in retro-styled apartments or classic houses. The top shelf is a perfect host for a record player, while the bottom shelf with the decorative wire slots, will hold up to 50 vinyl records. It will look absolutely great if paired with the Crosley CR704C-PA Musician vintage record player. The price of just under $70 makes it a reasonable choice, but one should pay attention to the several negative reviews concerning the stand’s stability and issues with assembly. The 101012 Jasper Audio Tower from Nexera is another boxy looking, elegant and simple shelving unit that makes no experiments in the design. Straight lines and right angles all over the place. Even though it seems a bit closed up, the openings on the rear sides improve the airflow for better cooling of your electronic devices. The top shelf is an excellent host for a record player, while the adjustability of the shelves will let you store your vinyl collection, thus making this unit a remarkable record player stand. This audio tower is offered with several color combinations: American Beech, Biscotti and Black, Moka, and Black, and Truffle. The dark brown Truffle edition is the cheapest at a price just shy of $100. This item is multi-function,you can put it in any where of your house.It can be used as component stand Audio cabinet and so on. “Nice! 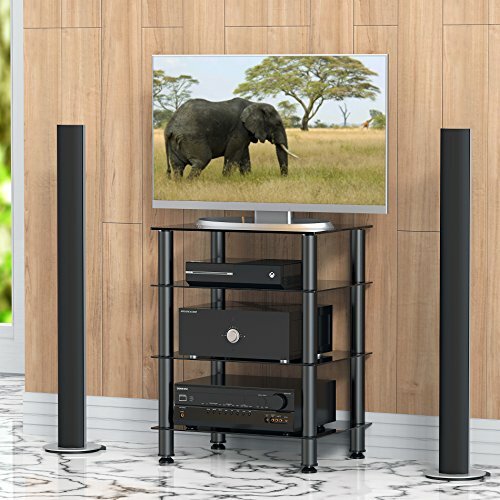 Very nice!” – This would undoubtedly be the first impression upon laying your eyes on this audio stand. 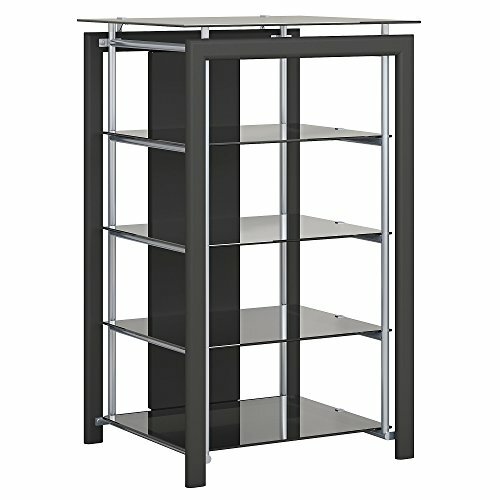 Black tempered glass, rigid and sturdy steel frame and insanely cool and attractive powder coat finish. All of these components put together nicely, to soothe your lust for great design and visual impression. Just place your record player on the top shelf, connect it with the rest of your audio system elements on the other shelves, and enjoy! 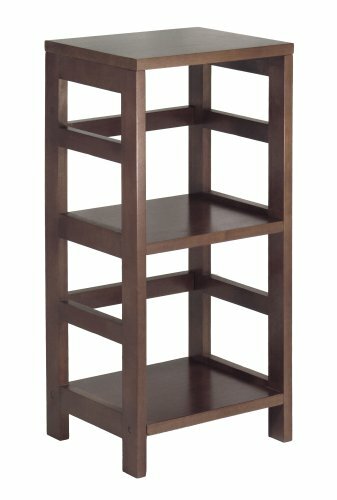 Unlike some of the other members on this list, this furniture item is strictly a 4-tier unit. That means that every shelf must be assembled. Unfortunately, that results in needing another storage solution for your records. 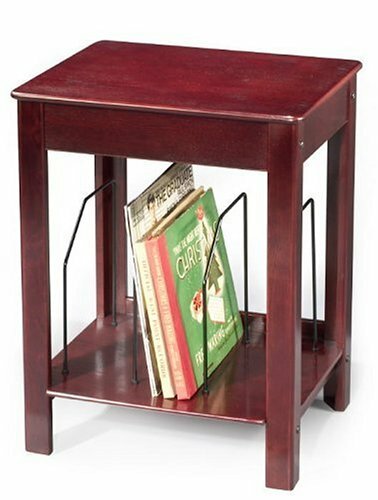 If this is not a problem for you, then at the current sale price of just under $100, this is an outstanding choice for a record player stand. Here we have the last representative from Crosley on this list. Just a glimpse is enough to see that this is, by all means, a record player stand, no ambiguity about it. Very simple looks, handcrafted from hardwood, attractive color finish, make it an interesting item. Record player on the top shelf, your vinyl record collection on the neatly divided bottom shelf, and that’s it! But having in mind the simple but pretty design, great storage solution for your vinyl records and the high percentage of 5-star customer ratings, it is a matter of time when it will become available again. Not that attractive, and perhaps even a bit boring looks. This one also looks like a part of a heating installation, but even though, it made it on our list. The reason why this item is on this list is because of the generous top shelf, which would gladly host a record player that is not shy in its dimensions. Behind the decorative door, we have two adjustable shelves, which means that your vinyl record collection will not be far away from the turntable. The possibility to open the door to the left or the right, score more points on the usability and versatility chart. This means that one could get two of these items and place them on the sides of a center piece that for example, holds a TV on it. The safety glass on the door, prevents deep lacerations if broken, which is undoubtedly a big plus. If the relatively dull looks are not a problem for you, then this audio tower can serve you as a record player stand for a price around $140. Several reviews have pointed out that the back panel must be placed to achieve maximum stability, so that must be kept in mind. 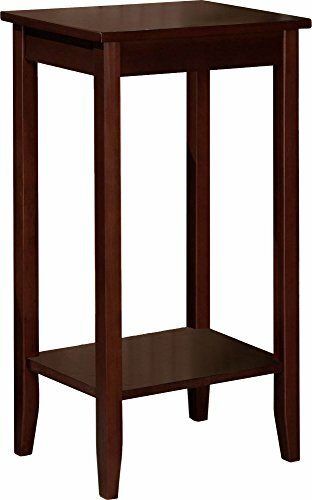 Overall, this is one of the premium quality record player stands Amazon.